1. A panel discussion on race and the criminal justice system on May 3 at 4pm at the federal courthouse (Detroit Room on the 1st floor). 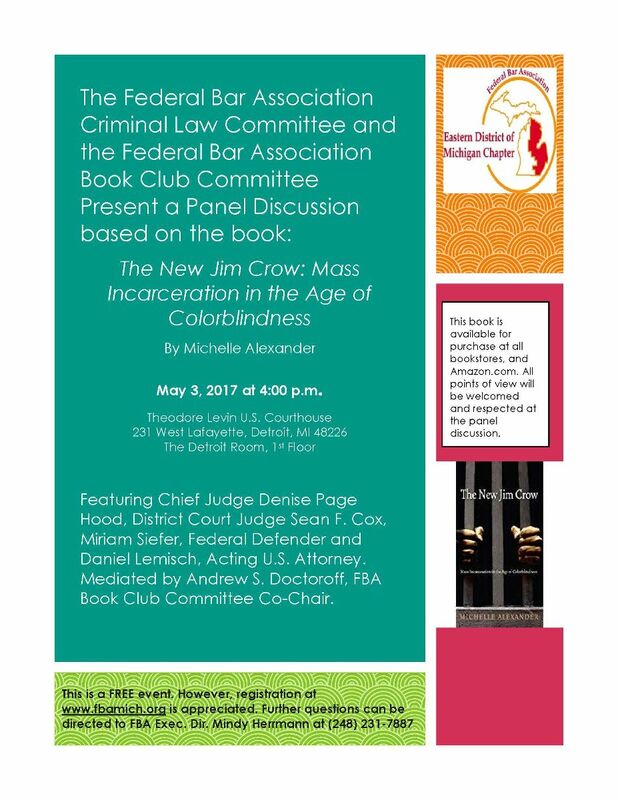 This is co-hosted with the Criminal Law committee and is based on the book club selection from last fall, "The New Jim Crow" by Michelle Alexander. 2. 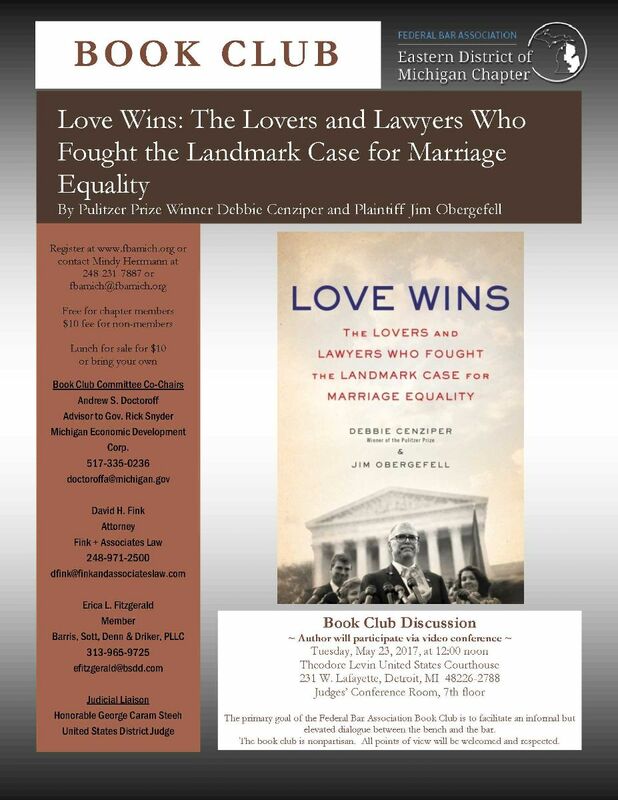 A book club meeting on "Love Wins" by Debbie Cenziper and Jim Obergefell on May 23 at noon at the federal courthouse (7th floor). The author will participate via Skype. BSDD member Erica Fitzgerald is an executive board member and book club co-chair for the local chapter of the FBA.